Having trouble viewing this email? View it online. Please be sure to add jane@style-makeover-hq.com to your address book to ensure that you receive my email in your inbox. Happy New Year! I hope you had a lovely Christmas break? I know I did, although it already seems like a long time ago! Do you make New Years resolutions? I find it a good time to review what I did last year to think about what I'd like more of, what I'd like less of, what I'd like to add into my life and what I'd like to accomplish in the year ahead, from both a personal and a business perspective. 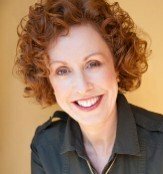 I'd like to learn more about the style problems and challenges you're facing right now so I can help you solve them. Could you please help me out by answering this quick, 2 question survey? Thank you. One of the things that really worked last year was collaborating with related businesses (such as makeup and clothing) to provide combined consultations and workshops. So, I'll be offering more of them! These collaborations are already scheduled. My clients are also enjoying the one-on-one styling packages I introduced last year. So much so, that I'm already almost full in April for seasonal wardrobe updates! I still have vacancies before then and after mid-June. So, if you've been thinking you'd like some help improving your style this year don't wait too long to book! PS I always welcome your feedback, so please contact me with anything you'd like to see either on the website or in this newsletter (reply to this email or use the Contact Me link below). How to combine current styles with older classics? Each month I pick 1-3 questions I've been asked that I think other readers will be interested in and publish them here. You can ask me questions or share your style story either directly on my website or through my contact me form. A: Tania has found some lovely older clothes from the 80s to around 2010. She'd like some ideas on how to style these in contemporary ways. See my suggestions... And see her response to my answer as well! My lovely makeup artist, Petrina, and I are planning 4 days of colour, style and makeup sessions together in her studio in Northbridge (Sydney): 2 on colours; and 2 on styling. The Colour days are: Sunday 7th February and Wednesday 17th February. On each of those days there will be 4 2 hour time slots available. 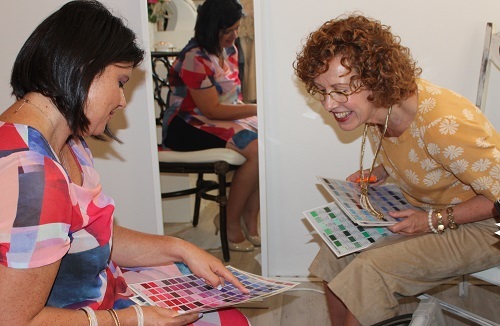 Each session will start with a colour analysis with me, then you'll get a makeup lesson from Petrina. If you've been thinking of getting your colours done (or re-done if you had them done a while ago and think your colouring may have changed) and want to update your makeup look this is a great opportunity for you to do both at the same time for the fantastically low price of $350 (a saving of $185). If you're interested in booking, or want more details let me know by hitting reply. These are 2 hour interactive sessions held at the Kelly & Port shop in Five Dock (Sydney) to give you style tips and let you try on clothing. If you're interested please reply to this email and I'll send you more details. Please forward this newsletter to friends you think will enjoy it! If a friend did forward this to you and if you like what you read, please subscribe here. Copyright ? 2007-2015 Style Makeover HQ. All rights reserved.